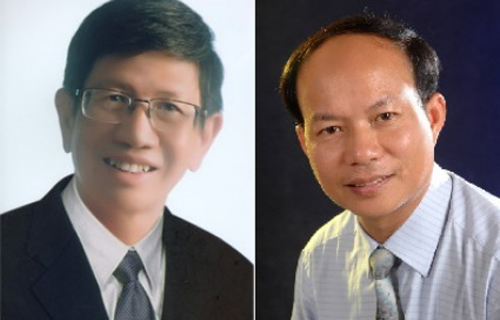 Vietnamese mathematicians Professor Phan Quoc Khanh and Professor Hoang Xuan Phu have been elected to the World Academy of Sciences (TWAS). In its 52-member list of newly elected academics, TWAS also honoured Brazilian mathematicians Artur Oscar Lopes and Ivan Shestakov. TWAS members span 10 areas of study. Professor Phan Quoc Khanh, born in 1946, is the head of the mathematics faculty at HCM City’s National University. He is routinely numbered amongst Vietnam’s leading mathematicians, serves as Vietnam Mathematical Association Vice President, and is a member of the Mathematical Association of America. Professor Hoang Xuan Phu was born in 1956 and works at the Institute of Mathematics. He is the Editor in Chief of the Journal of Mathematics and a member of the Committee for Developing Countries and the International Mathematical Union. Phu has studied at the Heidelberg Academy of Sciences and Humanities and the Bavarian Academy of Sciences and Humanities. Both mathematicians are also members of Vietnam Institute for Advanced Study in Mathematics’ Mathematics Science Council.